A few simple steps can create a gorgeous landscape for your home. Landscaping enhances the beauty of your home and increases its market value. However, if you abandon the front or backyard, you will end up with overgrown bushes and fallen branches. That look may be great for haunted houses, but not for your family’s home. So, how do you maintain a pristine landscape? Here, we share a few landscaping ideas and tips that will help you maintain a gorgeous yard — even on a busy schedule. 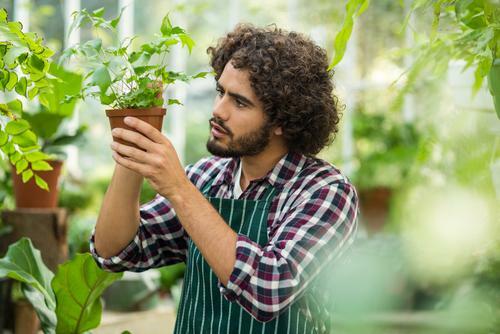 The first step to keeping a tidy garden is performing thorough and regular inspections on your plants. This practice will help you identify problems like fallen branches, rotting stems, and yellowing leaves. Remove the damaged parts of your plants, and consider better interventions such as spraying for insects or transplanting the affected crop. Regular inspections are also a way to double check that you aren’t overwatering your plants, which is a wasteful way to bump up your energy bills. Look for signs of wilting, especially on wet soil. "Do you have a hectic schedule? Your home’s landscape doesn’t have to suffer. Here are six easy landscaping ideas for savvy homeowners!" Floating cities, farmscrapers, and arcology may be the future of our cities. Explore how green building may solve overpopulation and climate change. When most of us go camping, we want to get away from it all — as long as “all” doesn’t include electricity.